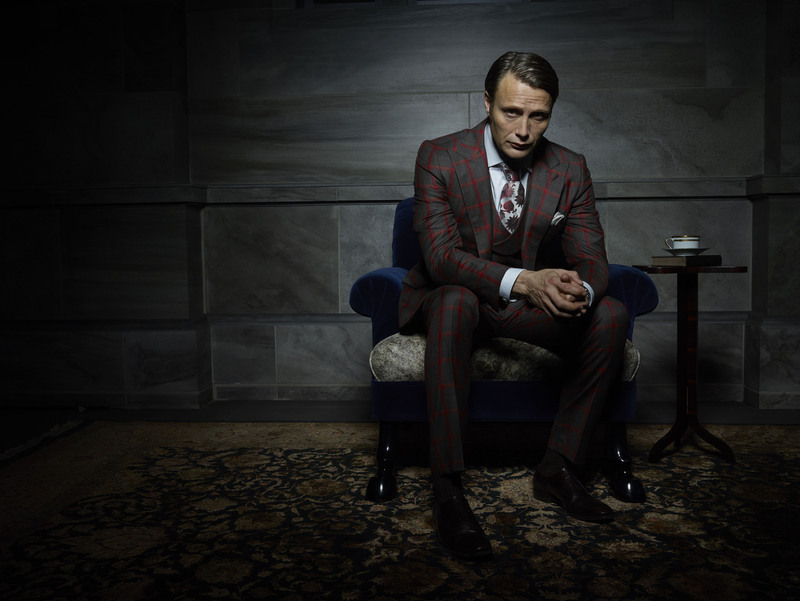 Mads Mikkelsen as Dr. Hannibal Lecter. . HD Wallpaper and background images in the 한니발 TV 시리즈 club tagged: hannibal season 2 cast photo mads mikkelsen hannibal lecter. This 한니발 TV 시리즈 photo contains 신사복, 비즈니스 정장, 잘 입고 사람, 정장, 바지 정장, 잘 차려 입은 사람, 양복, pantsuit, 옷 한 벌, 한 벌, 옷, 양복, and 정장. There might also be 침상, 소파, 거실, 앞 룸, 응접실, 프런트 룸, 앞 방, 소, 미술실, and 응접실.